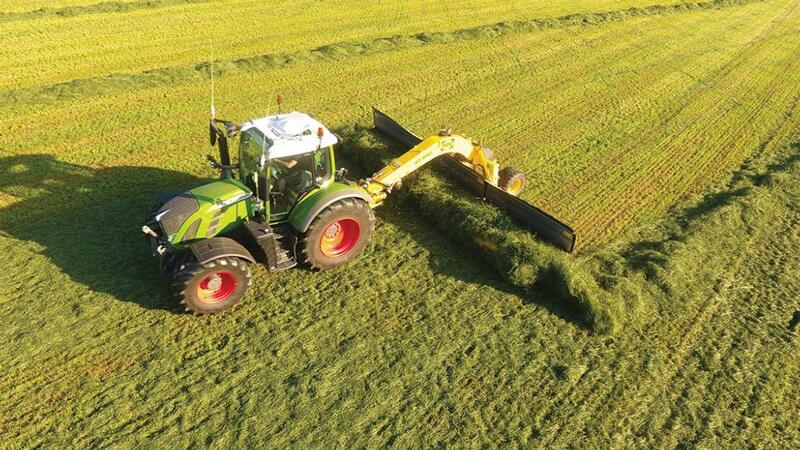 By switching from a traditional rake to using a swath merger, one Leicestershire dairy farmer has lowered the risk of soil contamination in forage and reduced the amount of stones from going through the forager. To avoid crop contamination, Leicestershire farmer, Neville Kirkham has made the switch to a belt merger for rowing up duties. 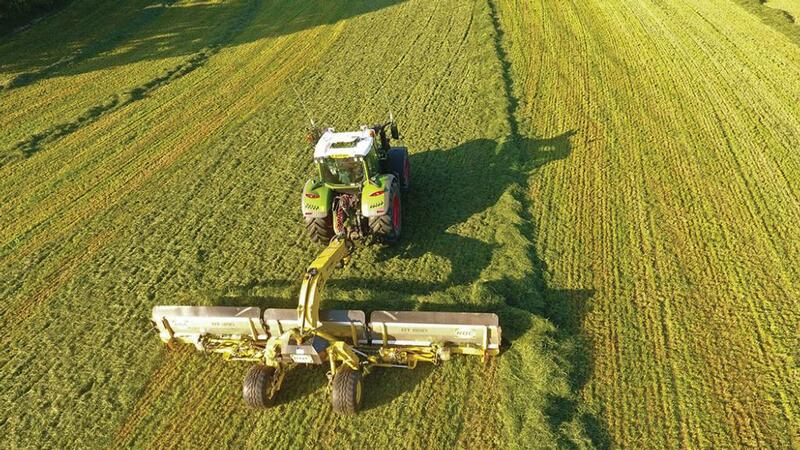 While traditional rotary rakes continue to rule the roost when it comes to feeding balers and forage harvesters, there is now a growing number of people making the switch to belt mergers to create swaths. Where rakes can be accused of dragging forage across the surface of a field as part of the rowing up process, a swath merger lifts and amalgamates mown crops into a large row. And an increasing number of dairy farmers are now seeing the benefits to such kit, in pursuit of better forage quality with a reduction in soil contamination. 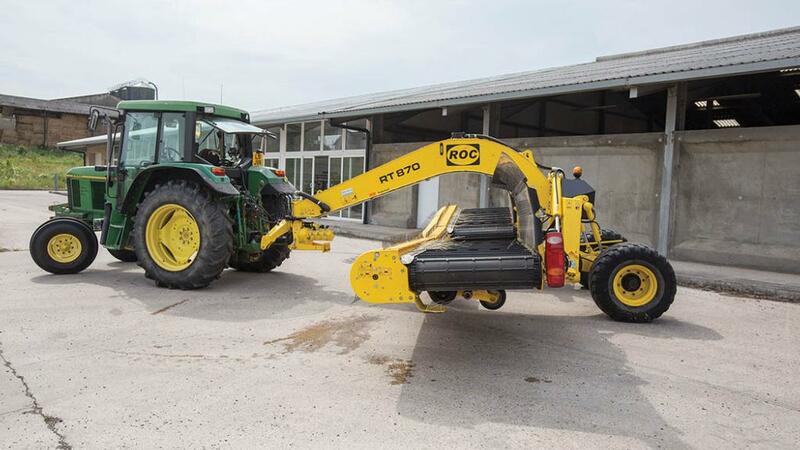 Neville Kirkham of Rushey Fields Farm, Woodhouse, Leicestershire, has used an Italian-made ROC swath merger for the last three seasons, and believes the well-being of his cows and his forage harvester, has improved as a result. His experiences have proved that a swath merger does not collect stones, and as a result, his forager blades are staying sharper, for longer. Neville Kirkham is pleased with the RT870’s ability to lift and merge swaths, without contamination. Pickup tines lift crop onto the merger’s belts, which can be used for left- right- or central swath delivery. For transport, the RT870’s outer belts and pickup units are folded hydraulically. 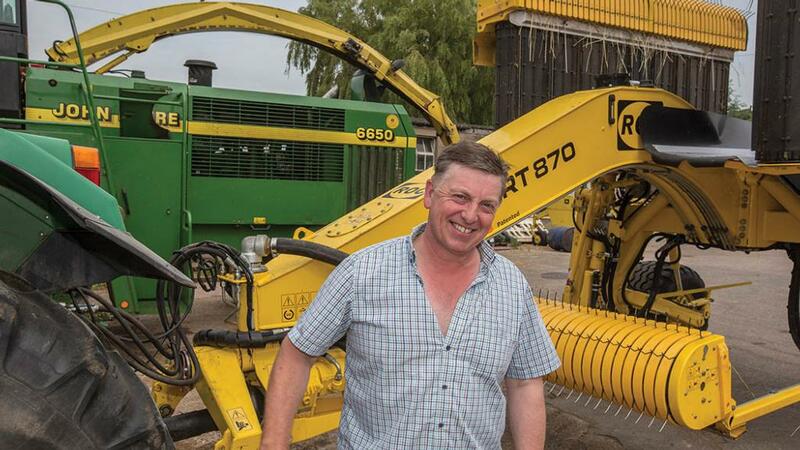 Mr Kirkham’s machine of choice was an ROC RT870 from Derbyshire-based Shutts Farm Machinery, acquired as a secondhand purchase. 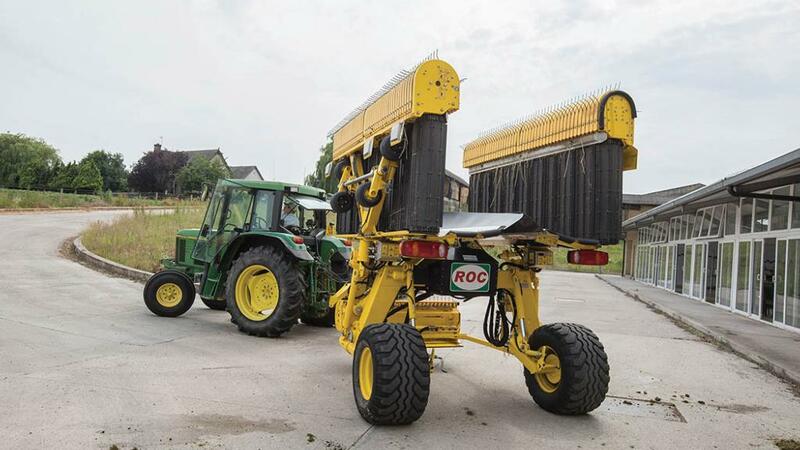 It offers an 8.7m working width, similar in width to the farm’s Krone twin rotor rake previously used, and can be pulled with as little as 80hp. The trailed RT870 uses three pickups and three conveyor belts. It lifts the crop off the ground in the same way that most machines’ pickup reels do, and then uses its conveyors to deposit the forage either fully to the left, or fully to the right. This can be done using the in-cab control box. It is a process which allows this 8.7m merger to collect up to seven, 3m swaths. By lifting and collecting three rows, then placing them on top of the next adjacent (fourth) row, the machine can then travel back down the field picking up another three swaths and placing them on the previously collected swath. And this suits late season light crops, where a four- or six-rotor rake might be employed. A small, two-wheel drive tractor is more than enough to power the merger, says Mr Kirkham.